When I know I am going to do a review of a product I try and give it as much of a chance as possible so my review is fair and thorough. 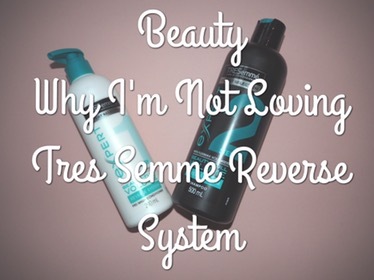 When I bought the Tres Semme reverse system shampoo and conditioner towards the end of last year I had high hopes for it. I had heard good things and the advert looked fairly promising so I bought it and gave it a go. The concept is simple, conditioner can add weight to your hair so should be applied prior to the shampoo, which can then properly wash out all the product. 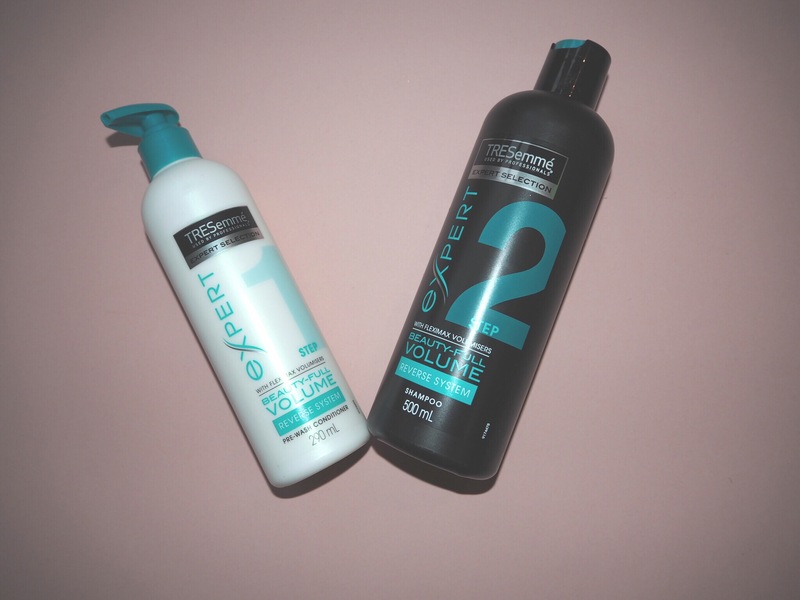 Once I had gotten past the weirdness of going against everything I had learnt about hair washing and applying conditioner before shampoo (seriously, its weirder than you think), I got into a routine and have used these as my regular shampoo and conditioner since. I don’t like them. My hair doesn’t feel better, if anything it feels more weighed down. I like the concept and I really, really hoped it would work as I do tend to get product build up and my hair suffers from it, but I’m just not feeling this range. I think I will be going back to the L’Oréal Clay range as they have worked best so far for my thick hair. Have you tried this range? Did it work for you? Do you have any other suggestions of shampoo and conditioner I should try? Oh goodness that is a big change up isn’t it? I Think I would feel the same, shampoo makes my hair knotty so I need the conditioner after to sort it out. I’ve not come across these before but I don’t understand the whole condition your hair then strip it off? What’s the point? Maybe try a 2in1 so its not all that heavy or maybe a leave in spray conditioner instead. I’ve never heard of these products! I have really shiny hair so sometimes I find conditioner makes it too slippery after I shampoo unless I really really wash the conditioner out. This could possibly be the answer I need, doing it reverse. But not sure I’m brave enough! Thanks for the info, great! Damn, I normally love all of the Tresemme range as well! At least this is one off of my list, great post, even if it was a bit of a dud for you!